Golden Yellow Bottle Cap "Eye of Horus". This is the left eye of Horus, hand painted on wood with acrylics and original Bottle Cap Eye. 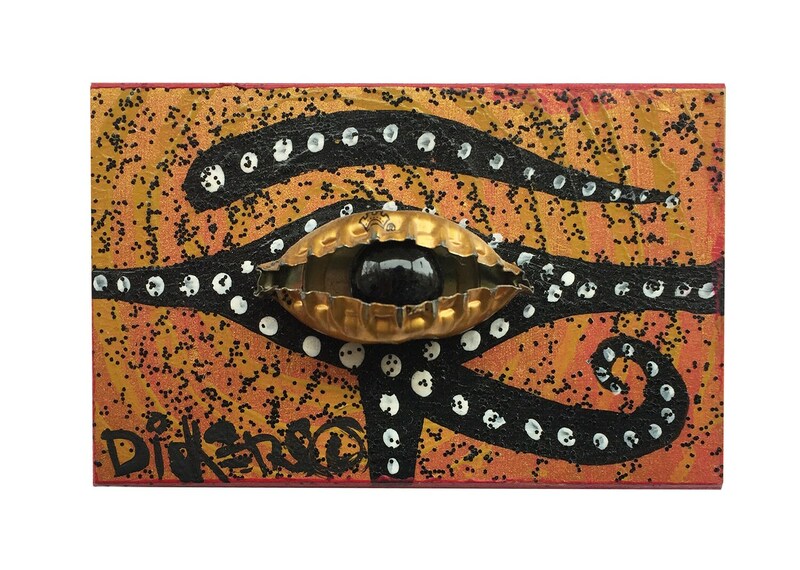 If you or your friends are into the Eye of Horus, this is the Eye for you. Ready to hang and stare at you with positive vibes !! !